La Marseillaise | One quality, the finest. 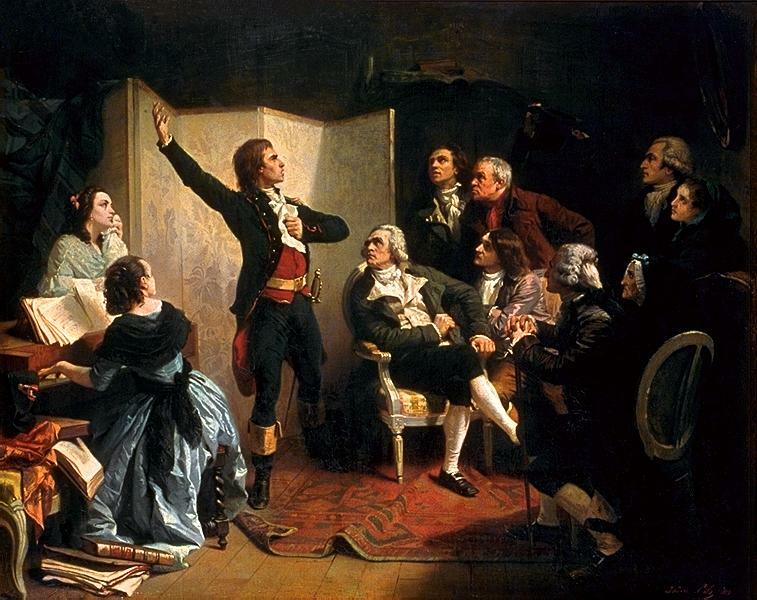 Claude Joseph Rouget de Lisle was born on May 10, 1760. He is famous for composing the words and music to La Marseillaise, the French national anthem. His original title was the Chant de guerre pour l’armée du Rhin (War Song for the Rhine Army) because he was stationed in Strasbourg (next to the Rhine) as a Revolutionary army officer when he composed the song in 1792. On August 10 of that year, a group of volunteers from the southern port city of Marseille were instrumental in storming the Tuileries Palace where Louis XVI and his family lived under house arrest for two years. The soldiers had been singing Rouget de Lisle’s song as they marched on Paris. They killed the Swiss Guard and the royal family fled across the garden and took refuge in the Legislative Assembly. The song surged to common popularity in the wake of these events and was renamed La Marseillaise. You’ll never hear a better version than this one by French opera singer Roberto Alagna. The song was adopted as the national anthem in 1795. Napoleon banned it in favor of another song, as did his nephew Napoleon III, but it was restored as the anthem in 1879. There are seven verses in all, but only the first verse and chorus are commonly sung. They lyrics are incredibly violent. Throat slitting is an unusual reference for a national anthem. The reference to impure blood also seems a little problematic in a multi-cultural France. Ironically, Rouget de Lisle was a monarchist and was thrown into prison for refusing to swear an oath of loyalty to the new constitution in 1792, the same year his song was used as a battle cry. He was jailed and narrowly escaped the guillotine. He died in poverty in 1836. His ashes were transferred to the Panthéon, the resting place of the great men and women of France, on Bastille Day 1915. This entry was posted in Music, People and tagged Bastille Day, Chant de guerre pour l'armée du Rhin, Claude Joseph Rouget de Lisle, La Marseillaise, Louis XVI, Napoleon, Napoleon III, Pantheon, Roberto Alagna, Tuileries Palace. Bookmark the permalink.